In this blog post we will be looking at how to create a luxury living environment. We focus on blissful interiors, design pieces and our thoughts on timeless spaces. Living a life of luxury can be easily achieved within the home interior. We sell products that utilize materials, shapes and innovation to create one of a kind pieces that will add elegance & beauty to any space. When creating a luxury atmosphere, it is a great foundation to use furnishings with the ‘classic contemporary’ look. Classic contemporary creates a timeless elegance, with products that have been designed to last the test of time whilst showcasing modern designs with classic inspiration. Using Velvet & Leather materials are a sure way to exude natural beauty and really showcase upholstered items as luxury products. 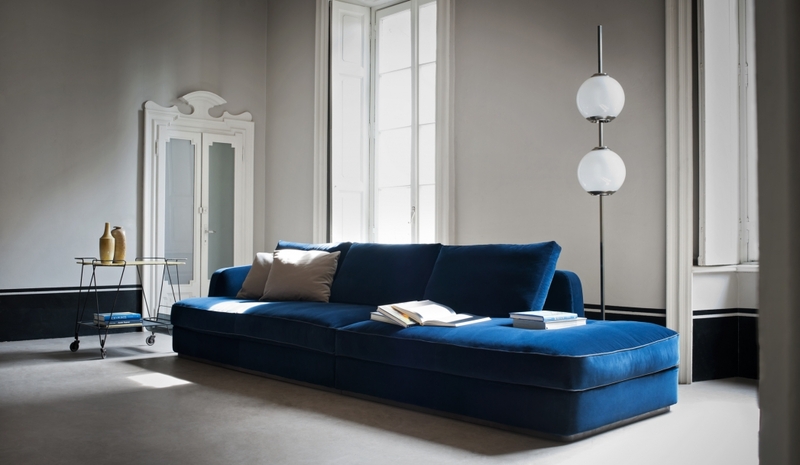 Choose sofa’s, beds and tables that have contemporary style but show traditional values. Make sure that these pieces are the centre of attention, with rich and darker colour tones, drawing the eyes attention. 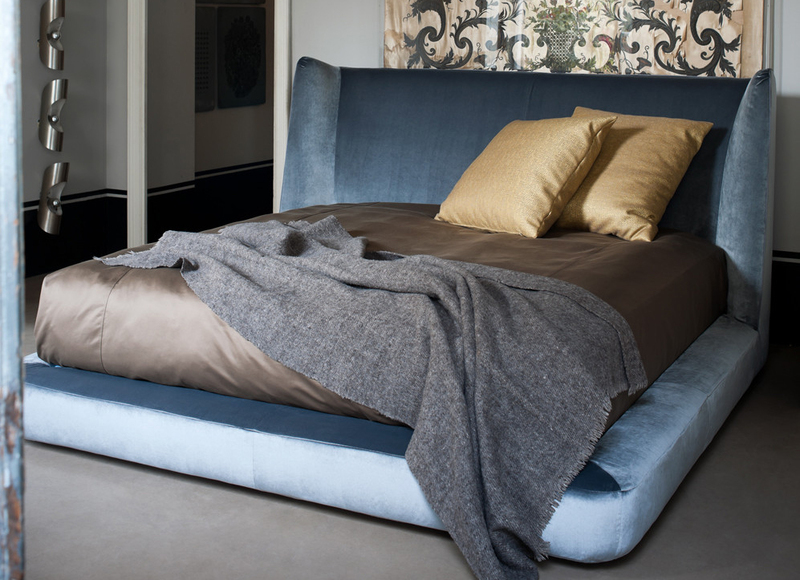 Try making your own mood scheme, adding in textures, patterns and colours to see what sense of luxury can be achieved. Remember, dark, rich tones, velvet’s, leathers, highlighted through bold statements. It is essential to have statement pieces. These can be storage items, armchairs or anything else that makes the eyes widen in awe. Choose something unique, maybe something that mixes multiple finishes to create a striking or unique look. Innovative designs will really make a statement, fusing style and functionality together to create a one of a kind product. 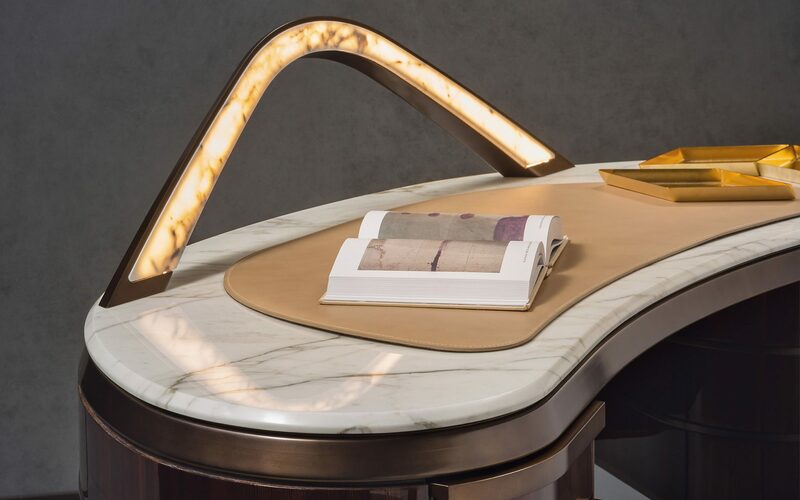 You can create a luxurious living style by choosing products that really stand out, bringing attention to the precise manufacturing and design of the piece. The Kara from Flou is a prime example of this philosophy. 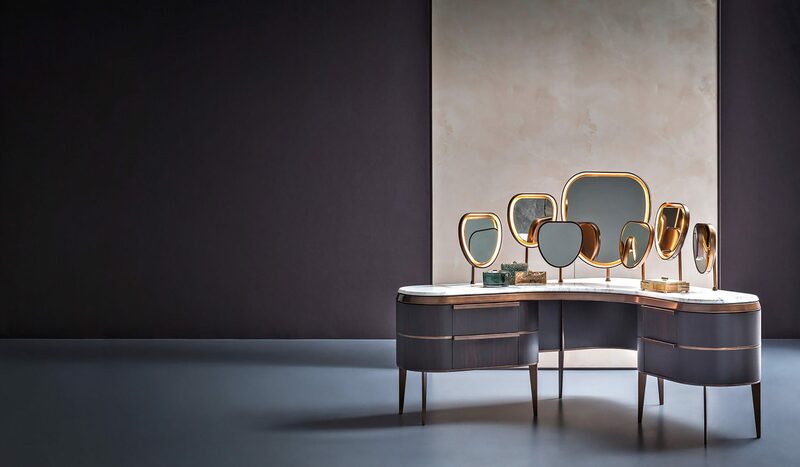 A magnificent dressing table that features marble top with smooth and rich colours in the design. 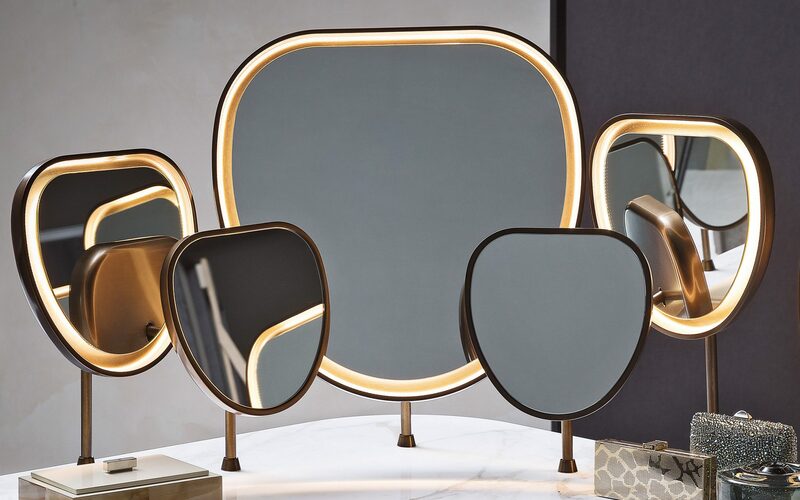 The multiple lighted mirrors add a striking yet functional feature, along with the metal detail that brings the entire piece together. Lighting can always bring a space together and there are a range of different designs out there that will add beauty & luxury to the space. 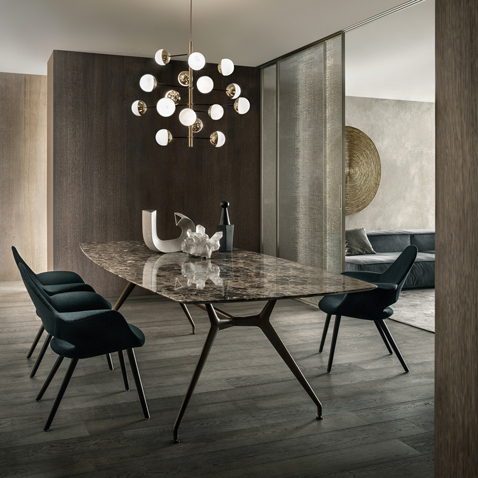 Current trends include metallic finishes such as brass and copper, which are great paired with any dark wood or marble finish, which in themselves offer deep tones of colour and pattern which exude elegance. If you are creating the classic contemporary look, suspended or wall light that feature crystal are a must have for creating a feeling of grandeur. Don’t be afraid to go over the top. 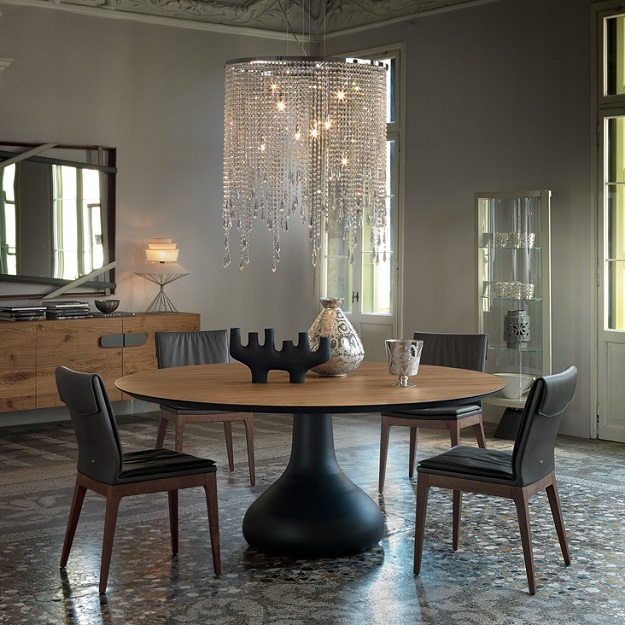 When choosing your furniture pieces, remember you’re making a statement. One of the most full-proof ways of doing this is to go for the larger option. You want something that will make you go ‘wow’ every time you enter the room. Think about long sofas or corner compositions, beds with large or extended headboards, tables with big surface areas and central bold structures.